Skeleton head vector graphics for a cool T-shirt print and sticker design. 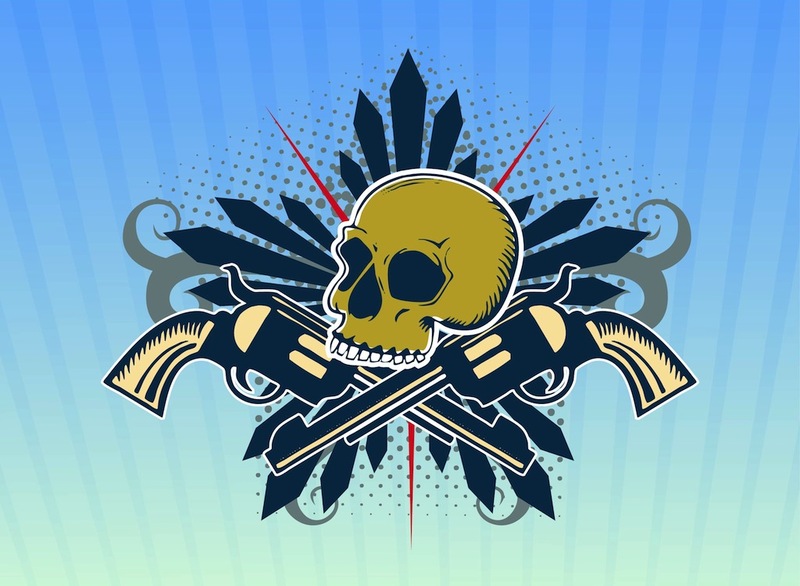 Skull image decorated with guns with crossed barrels, swirling lines, rays and dots. Abstract decorative patterns in different colors. Free vector image to create tattoos, stickers, T-shirt prints, banners, posters, flyers and music album covers. Tags: Decorations, Dots, Guns, Pistols, Rays, Starburst, T-Shirt Print.